Image: The Ether Drake performing at Xenovision moments before he was interrupted by a stage invader. Organizers of the Xenovision Song Contest are investigating how a stage invader managed to storm the Ether Drake’s performance last night on Tyznnia. Broadcaster TeleShroud said an inquiry was already under way into the incident, which saw the stage invader immediately devoured by the Ether Drake. The Ether Drake’s performance of ‘Baby Drake’ was highly anticipated and billed as a ‘comeback’ from his recent year long stint at in rehab at St. Frontier Hospital for eating fans. Unfortunately the graphic incident dented support from xenophiles, the program’s largest target audience, and the Ether Drake placed second last out of 21,135 entrants. Indie band Spectral Wraith won the contest with their ethereal dance number ‘Pulsars.’ They had long been an early favourite, alongside The Great Khan’s angsty power ballad ‘Mid Game Crisis’ which finished in second place. 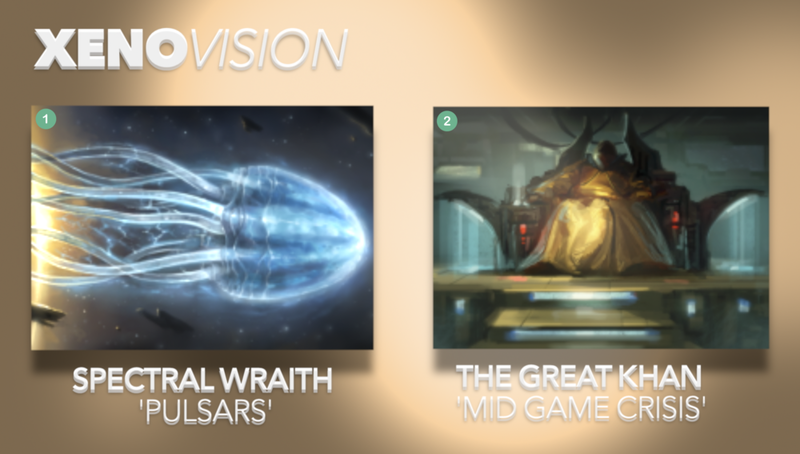 Image: The vote was extremely narrow between the top two entrants at this year's Xenovision. TeleShroud have announced the stage invader’s remains will be detained for questioning, once they have been released by the Ether Drake’s several kilometre long digestive tract. This year’s contest was its most watched, with an average of 39 billion viewers watching live, with 5.9 billion catching up later with TeleShroud’s Temporal Fold Rewind Time function.